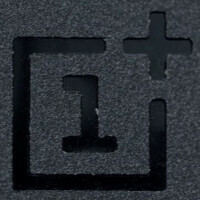 OnePlus is putting an exclamation mark on the end of the year by running its Seven Days of Giveaways promotion. The company says that this will be one of its biggest promotions ever. "For each of the next 7 days, we will feature some of the coolest gadgets, apps, and accessories from our friends in the tech industry. Then, with the help of our partners, we will give them away to you guys." The promotion started on Friday night with free invite codes that were sent out for the FlowHome Launcher. The latter replaces your standard home screen with real-time updates from Facebook, Twitter and other social media sites. And using the launcher means that your favorite apps are always within a quick thumb-press away. Just in case the gift is still available, head over to the FlowHome Google Play page, and use the coupon code ONEPLS for unlimited access to the launcher. Today's freebie is 100 complete vinyl skins for the OnePlus One made by dbrand. Each complete set includes the front, back, camera skins and a screen protector. And one lucky winner will receive a 16GB Silk White OnePlus One. To enter this contest, you need to follow dbrand on Twitter and submit a special form to enter the contest. The giveaway is open to all countries, and winners will be notified within 48 hours. To find out the rest of the goodies that are being given away, check back at the OnePlus forum's contest thread every night. Good Luck! They should give away the phone, otherwise all that crap is useless. All the things that they're doing are irrelevant right now. If they only concentrate on availability of the handset and not some stupid invite system. Didn't miss that part but you missed my point. "Seven Days Without Marketing Hype From OnePlus", now that would be something to appreciate during the holiday season. What takes Android One so long to be released in the market?